The Age of Innocence by Edith Wharton First serialized in 1920 in the "Pictorial Review" magazine, "The Age of Innocence" is Edith Wharton's Pulitzer Prize winning novel, which depicts the bygone era of 1870s New York upper class society. It is the story of Newland Archer, a lawyer and heir to one of New York's most prominent families. Newland is planning to marry the young, beautiful, and sheltered May Welland, a match, which because of May's social position, he views as highly desirable. However, when May's exotic thirty-year-old cousin, the Countess Ellen Olenska, appears on the scene, he begins to question these plans. Newland is intrigued by Ellen's exotic worldliness and begins to fall in love with her. 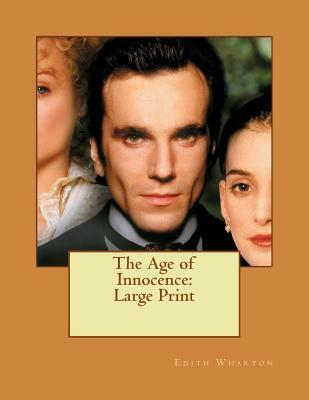 Noted for Wharton's attention to the details of late 19th century America, "The Age of Innocence" is an incredibly accurate portrayal of how the upper class lived on the East coast during that time. We are delighted to publish this classic book as part of our extensive Classic Library collection. Many of the books in our collection have been out of print for decades, and therefore have not been accessible to the general public. The aim of our publishing program is to facilitate rapid access to this vast reservoir of literature, and our view is that this is a significant literary work, which deserves to be brought back into print after many decades. The contents of the vast majority of titles in the Classic Library have been scanned from the original works. To ensure a high quality product, each title has been meticulously hand curated by our staff. Our philosophy has been guided by a desire to provide the reader with a book that is as close as possible to ownership of the original work. We hope that you will enjoy this wonderful classic work, and that for you it becomes an enriching experience.